Affordable, stylish, and trendy refashions. Unlock your closet’s potential with simple, stylish wardrobe refashions you can sew at home. 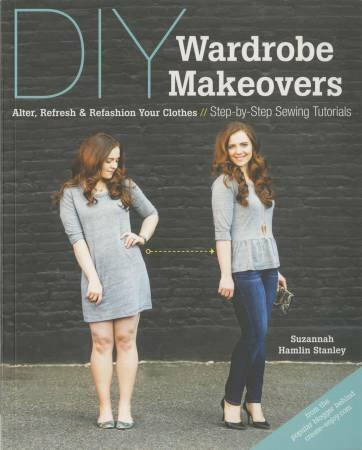 DIY-style blogger Suzannah Hamlin Stanley provides her unique blend of basic alterations and step-by-step restyling tutorials to give you a wardrobe you’ll truly love! Express your style and save money by embellishing and combining garments into new found faves. No sloppy shortcuts here—learn how to alter sweaters, pants, and everything in your wardrobe for a more flattering fit. • Guidance on how to take it in, take it up, let it down, or let it out. • Sew easy alterations for a perfect fit, with step-by-step tutorials. • Spend less, look better! Create upcycled, eco-conscious, affordable fashions.